This is a common question among tortoiseshell cat owners. A classic tortoiseshell cat will have a mainly black coat, with patches and flecks of orange and white mixed in a brindled type pattern. This pattern creates a lovely coat that really makes tortoiseshell cats stand out and look very beautiful! The brindled pattern tends to develop over time, so your fluffy tortoiseshell kitten will probably be quite dark and mainly black when you bring her into the house. It is really fun to see the colours come out as she grows up, and the pattern will probably be all over her body, legs and head. Sometimes you can really see how torties are related to their big cat cousins when the orange and white stripes develop close together! The main difference of a calico or a ‘tortoiseshell and white cat’ is that calicos will have a white coat with patches of orange and black. The patches are usually separate, and quite distinctive. A tortoiseshell cat makes a great pet, whether it is a brindled tortie or a calico and they will all some some signs of tortitude! Check out our image gallery for some great pictures of tortoiseshell cats! My little calico/ tortiehas been missing since 6/26/18. She is so sweet and loving. I have had her since her birth on 2/14/06. I helped deliver her as her mom was having problems. She would walk me to my car to go to work each morning on meet me at my car each evening when I came home. She would look both ways before crossing the road and frolic in certain neighbors yards that enjoyed seeing her. Since I have been canvassing the neighborhoods, have put up posters and checked with the humane society multiple times per day nothin person and on line, I am aftaid either some kid has decided that she is theirs now and she had not been able to escape or that she had passed over the rainbow bridge. Either way, she is horribly missed and I don’t know what I will do without her. She is so tiny and energetic that no one would guess she is over 12 yrs old. She is a beautiful soul and very loyal so if she way catnapped then I am sure she is trying to get away. She doesn’t allow anyone but me to even pick her up. Many people confuse torties and calicos. I usually refer to my girl Furlips as a calico but she is actually a tortoiseshell. She has white feet and unlike a calico her basic fur color is not white. 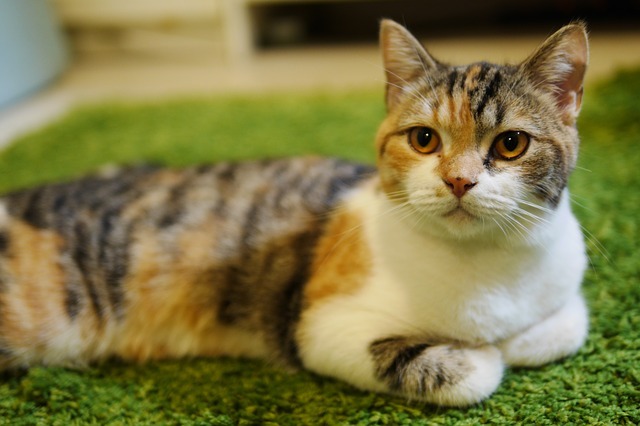 A calico is just a coat coloring and like a dog and are easily trainable by their owner. My girl comes when called sits gives her paw and will “heel” on command.